It's another epic Friday in the world of cinema and there's a tasty match-up this week. 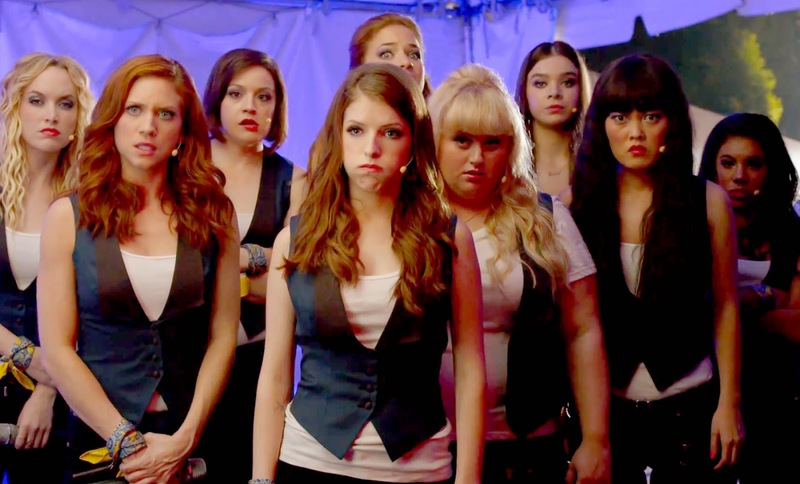 In one corner is the somewhat anticipated sequel to one of the surprise hits of 2012, Pitch Perfect 2 (2015), starring Anna Kendrick and her ragtag team of Competitive A Capella Singers. 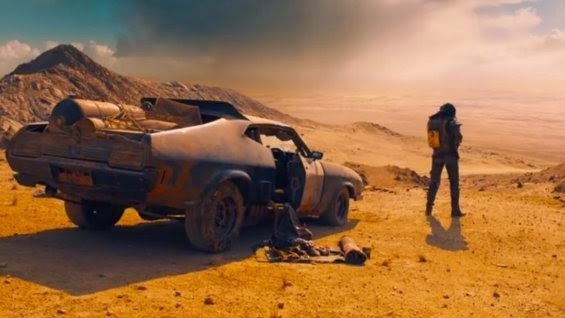 In the dramatic other end of the spectrum is Mad Max: Fury Road (2015), the sequel/reboot/whatever set in the progressively more insane world of Mad Max, which launched Mel Gibson's career in the 80s. Even though at first glance these movies may seem really different, they're actually more akin to each other than they seem. So let's talk about the cultural, commercial, and critical prospects for each. Pitch is the new black. Both of these films have the advantage to exercise franchises that aren't really worn out yet. Pitch Perfect 2 has a tall order to surpass its original film and to promise to me more than just a retread of what happened the first time around, which was still fun, new, and riotously funny, with plenty of heart. Elizabeth Banks has somewhat surprisingly stepped into the Director's chair, although after reading her story, it's not actually surprising at all. The film also returns most of its original cast with a handful of departures and some new exciting additions. By all accounts this looks to be a solid entry that I'm not sure will totally break away from the first film and may actually be going through its own Alan Garner-ification in Rebel Wilson's Fat Amy character, which was a pleasant departure in small doses, but could bog the film down with more airtime, becoming stale and undercutting the development of stronger characters. The first film, while it was full of all these really bizarre moments like this also had incredibly strong moments like its ending, which rules. I wouldn't underestimate this film's potential to make some serious coin from audiences who may be weary already of the big male-centric action spectacle that has become synonymous with Summer Filmmaking. It's not like the first one was super-dominant, but it has had decent legs post-release and its fandom is pretty significant. That said, I think this is totally a young person's film, and with that regard, those people will be dishing on Fury Road as well. Mad Max had never totally gripped my attention, indeed it has been sort of a gaping hole in my nerdy knowledge up until the last few weeks. For that reason I've spent the last few weeks crushing through Mad Max (1979), The Road Warrior (1981), and Mad Max: Beyond Thunderdome (1985). There is certainly a gradient of wackiness there, with Thunderdome reaching peak insanity. I'll still hold that the series doesn't really get better than that first chase in Max, though (note that video is mislabeled as Road Warrior). It's such a great action set piece with continual movement, rising action, and clear geography, even if the character distinctions get a little blurry. My vision of Fury Road is that kind of attitude and filmmaking extended to a two-hour run time with much more outrageous stunts, vehicles, and people. With that sense, it's no wonder it's being hailed as a great work of art. It helps that it features the return of original director George Miller, whose wacky, hyper-violent mastermind has also been applied to both Babe films as well as Happy Feet (2006), which earned him an Academy Award. It's the kind of seriously legitimate career of a madman that really earns him and only him the reputation and skill necessary to make this movie. The first, rejected title was "Angry Andy." Mad Max is an interesting property to get the big modern blockbuster treatment, though, possibly because it seems so obvious, yet it was so difficult for this fourth installment to get off the ground. It has been in some stage of development since 1998, with the proper cast and filming specifically on Fury Road having been churning it out since 2011. This is especially long considering that Mad Max 2 was essentially cranked out in just over a year. Of course, with the heavy amount of post-production effects and more complex stunt work required of any big action film now, things got way more cluttered. That's the thing I'm a little suspicious of though - the original Max Trilogy really succeeded through surprisingly simple storytelling that was supplemented with brilliant characterization and extended setpieces, often at high speeds. It's really the original version of The Fast and the Furious (2001). The excellent reviews and minimal plot revealed so far leave me little doubt that Fury Road will emulate this method of storytelling, albeit on a much grander scale, which is a difficult balance to achieve, especially with the temptations of technology and the pressure of a high-profile Summer Release. Kudos, if all goes right. Mad Max as a brand was also always ripe to receive another installment. Individual films tended to be episodic, even if events in one led into another. Mel Gibson is obviously iconic as the titular character, but he was never indispensable to the mythos, such as Harrison Ford is to Indiana Jones or Arnold Schwarzenegger is to the Terminator. Max Rockatansky never achieved that particular level of pop culture stardom, probably in no small part to Gibson going on to being better known for characters like Martin Riggs, Braveheart (1995), and his terrible, anti-Semitic directing career. Max could have been brung back virtually any time. And it's also in that sweet spot of there being not enough fans to really be up in arms about any ridiculous moments that contradict earlier canon, but there's that level of pop cultural awareness that people will think it's cool to be in the spotlight again. I almost think of Star Trek (2009), which obviously has a bigger fan base, but they're so insular, and enough people knew just enough of the mythos to get into it when presented with the modern adaptation. And needless to say, the compelling, non-stop action of Fury Road ought to appeal to the young people. It's even got strong female characters, though as well, which may attract young women away from Pitch Perfect 2. I don't know if as many dudes dig Pitch Perfect, but there might be some movement that way as well. After all, as Elizabeth Banks says, Pitch Perfect is actually really just a sports movie. And there's the argument that Fury Road acts more like an opera or musical. So we have a sports movie disguised as a female-centered singing movie, and a musical disguised as a balls-out action movie? Radical. Which flick are you seeing this weekend? Leave one below!